Over the years, folks have found a ton of glitches inside of Super Mario Bros. 3—so even if you've played it before, chances are good that there's still stuff you've never seen inside the game. And more! Mind, many of these glitches are level-specific, but A+Start is clear about where and when you can do some of this stuff. 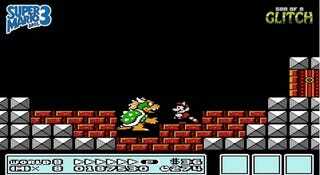 You can read more about Super Mario Bros. 3 glitches here, or watch how someone beats the game in under three minutes using the final screen glitch here.